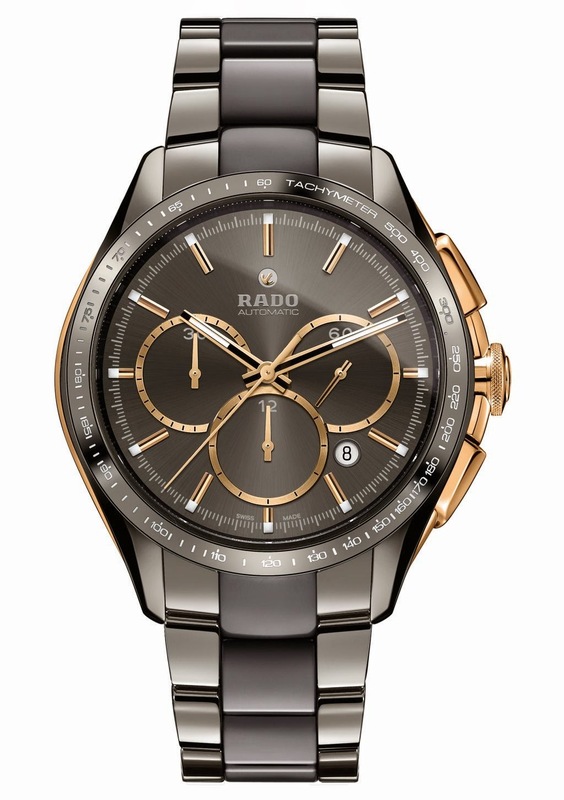 The new Rado HyperChrome Automatic Chronograph Tachymeter in stylish plasma high-tech ceramic case is a perfect accessory that is equally suitable to wear in sports tracks as well as in black tie events. As the name suggests, the ceramic bezel of this watch is engraved with a tachymetric scale, filled with white Super LumiNova®, making it visible even when the sun has set. The tachymeter is an absolute must for all sports enthusiasts, as it enables you to measure your speed based on travel time or distance based on speed. The markings of the tachymeter work independently from any measurement system, making them universally applicable. This new automatic chronograph is not only good-looking but also a pleasure to wear. However hard you train, the lightness of this high-tech ceramic watch makes it a pleasant companion, while its hardness ensures that it will come out without a scratch.